Seoul is listed among the most expensive cities in the world, ranked at the seventh place just above Copenhagen and below Osaka. Traveling to South Korea might be, therefore, costly. What might be even more expensive is staying in a hotel there, but only if you choose a luxury hotel, of course. 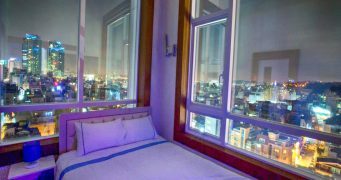 For however high on the list of the most expensive cities Seoul appears, it has plenty of different accommodations that can be afforded by any modestly earning traveler. South Korea indeed boasts a rich variety of places for rent, though some of them can strike tourists as a tad exotic. Yet in the case of Korean hotels, exotic does not necessarily go hand in hand with uncomfortable. However peculiar hotels might look and be called in South Korea, staying in them can turn for you into a rewarding, memorable experience. In what follows, we are helping you navigate through the confusing names of the Korean accommodations, explaining why each type of them can be a stand-out choice for you while you are exploring the country. If you are still in two minds whether to travel to Seoul or not, you can go to the website containing the best online reviews of different objects and places and read here about all the right reasons to travel to South Korea. Our guide through its different hotels aims to support you in your desire to visit this unique, culturally rich, and vibrant country. A variety of different hotels in South Korea might appear annoyingly disorienting at the first blush. Not only do their names sound incomprehensive but they also do not even look like places where a traveler would think of stopping for a night. Take, for instance, jimjilbangs. When you approach it and see a steaming circle logo on its building, chances are that it will not occur to you to enter it to ask if you can stay overnight there. Looking at the jimjilbang, you will probably conclude that it is some sort of a sauna, and you will be right to do so. And let us agree that a bathhouse is not the place where anyone would look to have a good-night sleep. Not so in South Korea. Here, people do sleep in jimjilbangs, since it is the cheapest accommodation option, for foreigners and locals alike. These bathhouses are always open and offer people to sleep on the floor in a shared sleeping area. Spending a night on the floor together with strangers might be unnerving. Yet on the positive side, the floor is heated, steamed baths and saunas are available, generously included in the price for the jimjilbang. By stopping for a night at the Korean bathhouse, you will not only have an inexpensive shelter but you will also walk out of it crisply clean. It is also a kind of experience about which you will eagerly tell your amazed friends and relatives. Equally exotic is another common accommodation in South Korea called hanok. A honok is a traditional Korean building having large wooden support beams and a clay-tiled roof with deep eaves, designed to appeal to those travelers who prefer quiet nights and undisturbed rest. Invented in the 14th century, this type of the house ideally faces a river and is backed up by a mountain to give its residents protection and peace of mind. Travelers are also impressed by the cozy style of this accommodation: the honok displays colorful paper doors and balcony-like raised verandas, while its interiors usually have plinth and low, old-fashioned furniture. There are also small, neatly arranged gardens in front of the building, where you can stroll before your supper. 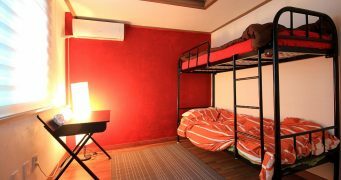 Staying in the hanok is far from cheap, because it is thought to provide foreigners with the unique Korean experience. To preserve their calm and antique aura intact, owners install no satellite television or the internet in hanoks. Brace yourself for the absence of your favorite shows on Netflix, while you are staying in hanok; but in it, you will certainly have restorative sleep after a day of walking through the busy streets of Seoul. The peculiarity of Korean accommodations is by no means exhausted by jimjilbangs and hanoks. Formerly the most popular type of a resting house, yeogwan, vies with them for uniqueness. Homely styled, the yeogwan does not usually contains beds. People are offered to sleep on a mattress on the floor heated in winter. As the sleeping room is shared, so are the toilets and dining rooms, which is the main reason why yeogmans are not as pricey as honoks. Similar to the yeogwan is family-run facilities called minbak. Like the former, the minbak may not contain a bed, though travelers are given a room of their own with the heated floors and sometimes even a kitchenette. 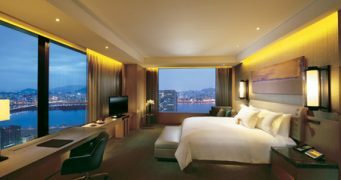 There are surely expensive hotels in South Korea, in which you can experience all the luxury of the modern world. Like such hotels in any other country, they invite tourists to swim in pools, sleep in king-sized beds, wash their hands in marble bathrooms, and look through large, sparking windows. 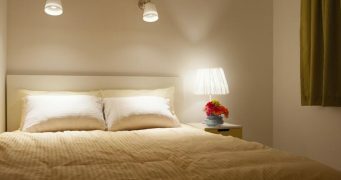 Yet if you want to get a feel for the uniqueness of the Korean accommodations, it is perhaps worth checking out jimjilbangs, honoks, yeogmans, and minbaks first. Staying in any of them, you will deeply immerse into the Korean culture and will understand how the Korean people live more intimately and fully.